A shop quality three-in-one spoke wrench. 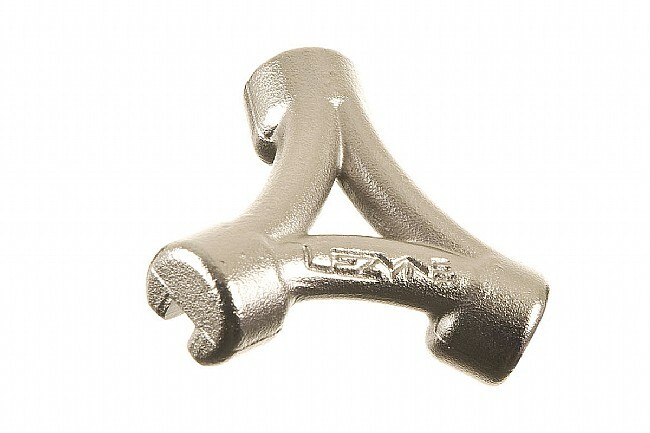 The Lezyne 3-Way Spoke Wrench features a a high strength forged construction designed to withstand daily use. The openings are CNC-machined for extremely accurate tool engagement, and the compact body is ergonomically shaped for comfort and ease of use. 3.22mm, 3.3mm and 3.45mm openings.